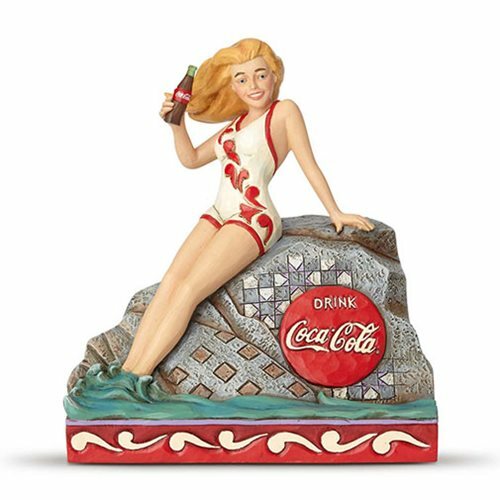 Jim Shore's handcrafted Coca-Cola collection is drawn from the brand's classic advertising campaigns. 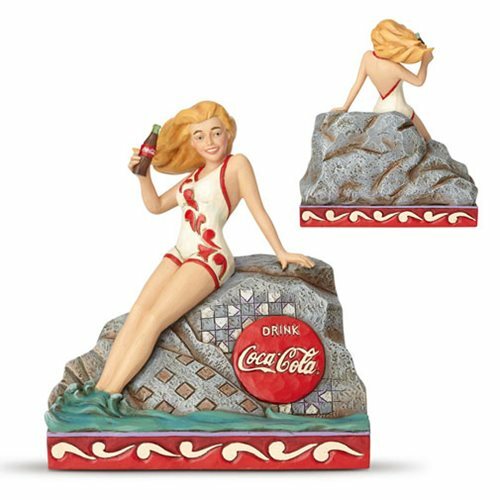 Vivacious bathing beauties were once synonymous with Coca-Cola, flashing white smiles from posters and calendars as they persuaded their audience to take a sip. Jim Shore reimagines one of the iconic images in this radiant scene, capturing its wholesome, breezy feel and unbridled idealism. 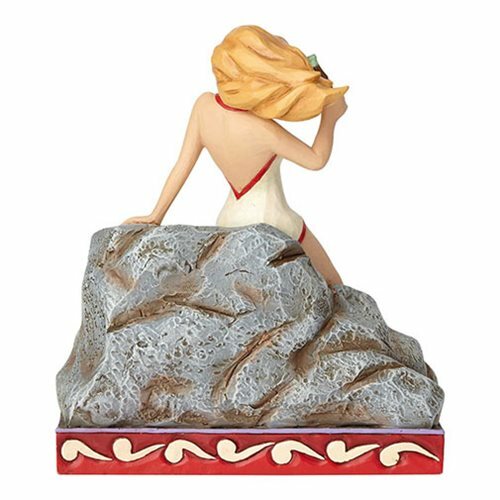 Meticulously sculpted from stone resin, the Coca-Cola Bathing Beauty Blonde Statue by Jim Shore is hand-painted in a nostalgic palette of vintage hues. Measures about 6 7/10-inches tall x 5 3/4-inches long x 3 9/10-inches wide.